Garden sizes are shrinking and growing in pots and containers is gaining popularity, both through need and desire. These days, more and more gardeners are taking up serious potting! Herewith are some simple tips and practical advice on how to improve your container growing skills. Think carefully before you start planting or potting. Be sure that you are using the correct plants and containers for your express purposes or needs. Many a container gardener has been disappointed with results through a lack of simple planning before getting stuck in to the work load. Here are few pertinent questions that need answers in order to establish exactly what is required, both in terms of containers and plants. Once planting is complete, the finished article/s need to be placed in their final growing place. Again, many differing factors influence this process to ensure that optimum results are achieved. Simple step by step procedure for potting up plants. This applies to most plants, from smallest to largest and single plants to miniature gardens in pots – the principle is the same. 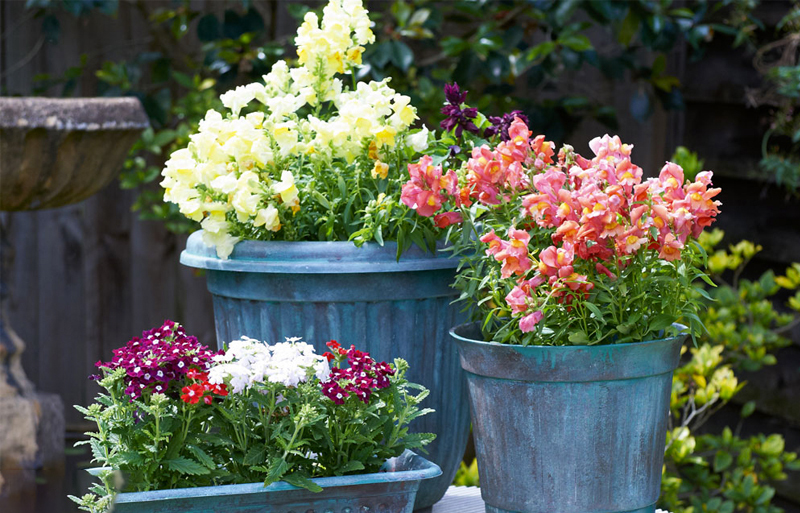 The selecting and planting of pots is the easy part of container gardening. The test and challenges arise when they have to be maintained and cared for. Many a potted plant has succumbed to neglect and shoddy post planting care. In fact, potted plants need more tender loving care than those growing in the ground.